When I discovered this book, I knew I had to read it. I like horses, I like magic, and I like fantasy. Here it is all wrapped in one anthology collection. Oh, I also like short stories! World Weaver Press sent me an ARC of this book to read for review (thank you). It will be published July 18th. 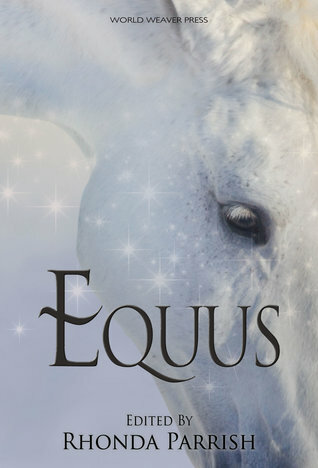 There are unicorns, kelpies, pegasus and knitting in these stories. One woman knits her way to the stars where she can ride with the horses. In Rue the Day, the young man aiding the woman unicorn rider rapes her so she can't ride anymore. Unfortunately, it just makes her unicorn mad and he pays for his offense. All the stories in this collection are good. Each author has a completely different take on where the animals live and how they behave. It makes the stories surprising and unique. If you like fantasy, magic, or horses, you'll love this book. Tell me what story touched you.